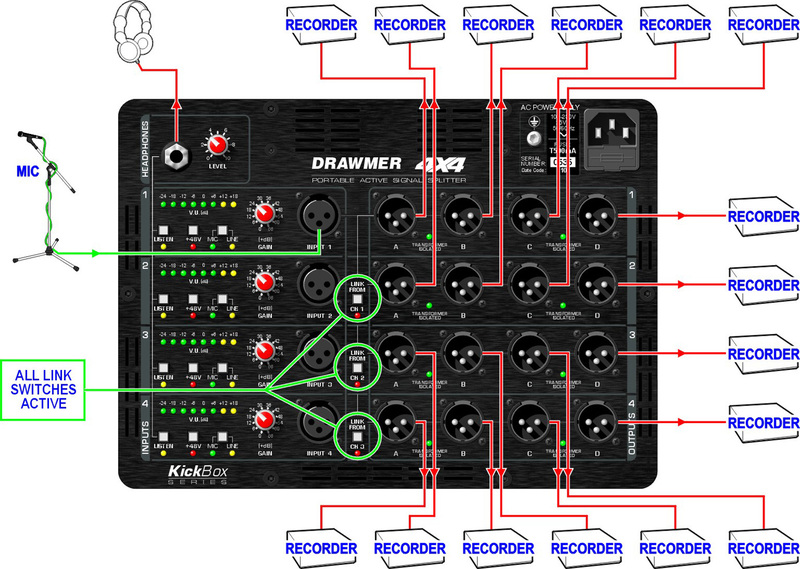 The Kickbox 4x4 is an ‘all terrain’ 4 in/16 out mic/line signal splitter. Its extremely high audio quality, robust build and portability make it the ideal tool to provide multiple outputs for live sound, broadcast coverage, sports events, live recording, press conferences, corporate events and any situation where distribution of high quality audio is required. 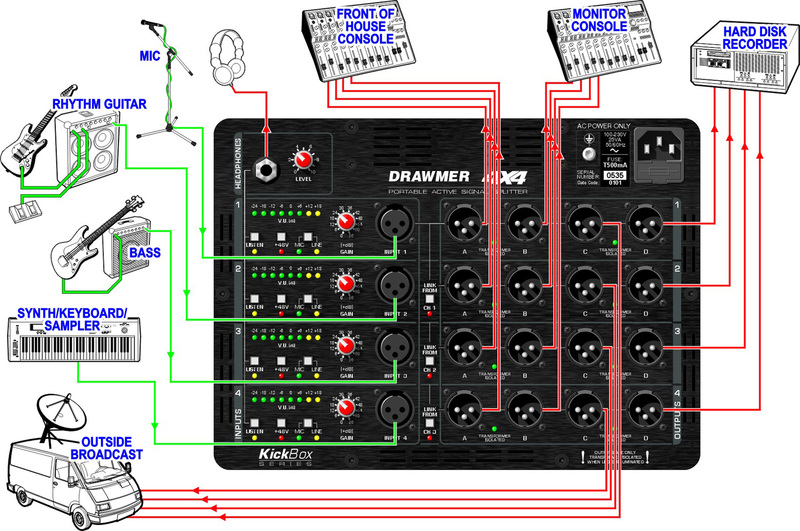 It incorporates 4 studio grade mic/line pre-amps, each providing up to 66dB of gain and 16 balanced output stages, each with the option of transformer isolation and comprehensive linking facilities. 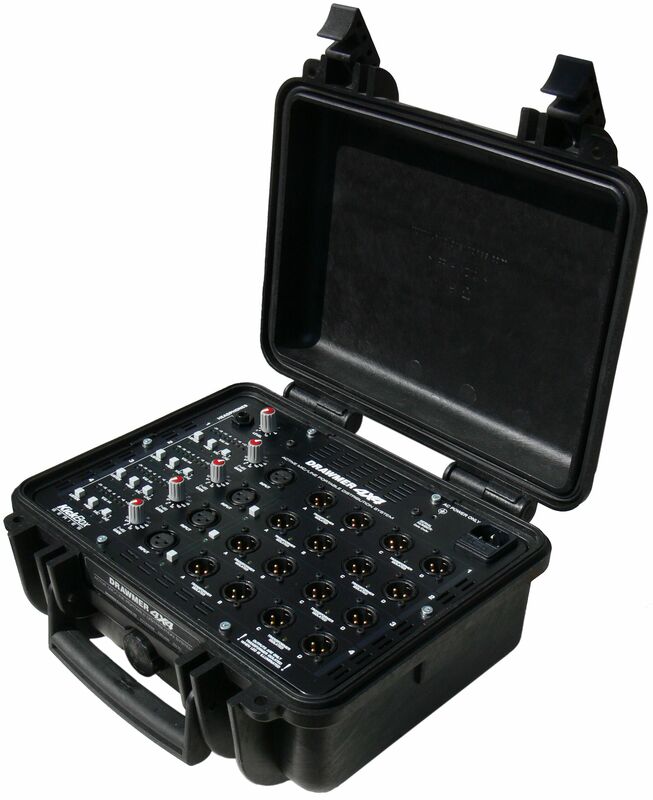 The 4x4 is supplied as standard in a road proof case with a removable lid for unhindered access to all controls and connections. 2x 1 IN/ 8 OUT. 1x 1 IN/12 OUT plus 1 IN/4 OUT. REMOVABLE LID TO PROVIDE EASY ACCESS AND CABLE ROUTING. COMPACT SELF CONTAINED ROAD PROOF CASE ELIMINATES THE NEED FOR BULKY FLIGHT CASES. WHEN LOCKED IT’S DUST / WATER / CORROSION PROOF. "I was particularly impressed with the sound of the KickBox. It has outstanding specs, it’s quiet, and there’s plenty of headroom. The preamps are studio quality with a warm and clear sound."